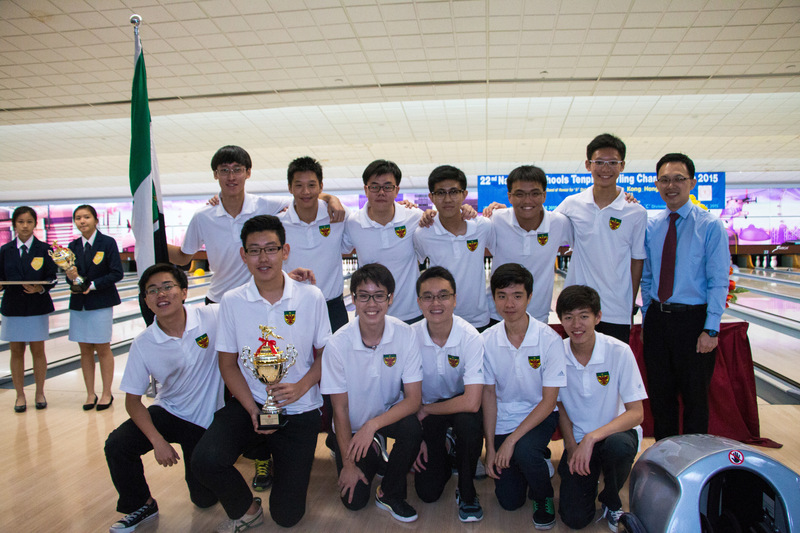 On the 28th of May, Orchid Bowl came alive for the final day of the 22nd National Schools Tenpin Bowling Championships. The eleven-day event saw twelve schools competing to win what would be the last competitive bowling event for many. As the RI team warmed up, the situation looked difficult. With ACJC putting up strong performances in both the Boys and Girls subdivisions, top spot seemed to slipping out of the Rafflesian bowlers’ hands. Neither the boys nor the girls were able to win the team championships, but they put up fierce fights, right until the last pin had been toppled. The boys with their championship trophy! With Captain Ian Siow and Jonah Goh leading the charge, the possibility of the win was always on the cards. The day began without a hitch, as the boys bowled strikes and spares to push hard for the win but there was a wobble midway through the third game where there seemed to always be at least one pin left standing. It was a passing choke-up, after which the boisterous support of the RI Student Council gave the bowlers the resolve to push forward, with every strike met with roars of approval. Luck did not seem to be on the bowlers’ side, however, as ACJC pipped them to the win with an extremely fine margin of 2 points. Nevertheless, Ian was upbeat even in defeat, rating the team’s performance a “9/10”. He also described the competition as a “very good conclusion to [his] inter-schools bowling career”. Boaz Chan and Bertrand Yan dazzled in the Singles Boys event to claim 1st and 2nd respectively. Jonah Goh had a standout individual performance as well, spurred on by a vocal support contingent, and he finished 2nd in the All-Events Boys subdivision. “Grateful” for the support, he affirmed that he had “no regrets” and had “tried [his] best”. The girls with their first runners-up trophy! With national bowler Joey Yeo on their side, the RI girls were also shaping up for a strong drive towards the championship trophy. There were a fair bit more wobbles here, with some games nearly going for as few as 100 points. Hence, the girls’ mistakenly announced 3rd placing was met with much disappointment. 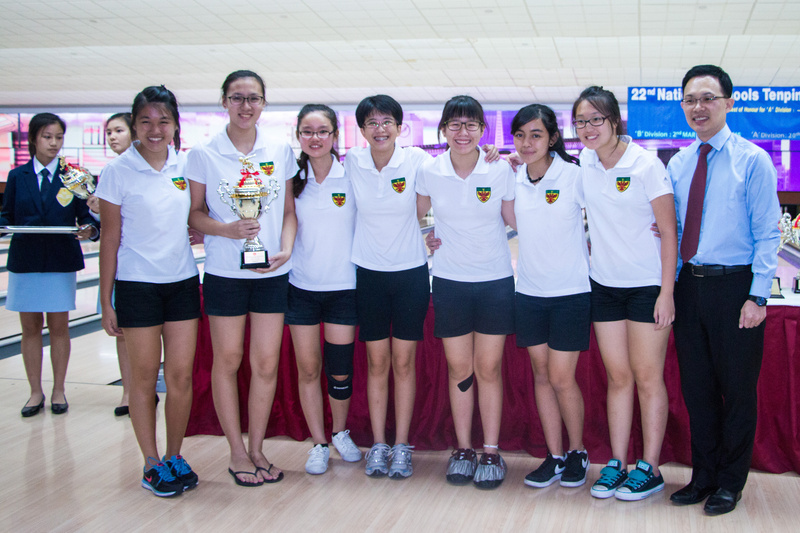 It was with much surprise and jubilation that the girls found out they had actually placed 2nd, also behind ACJC. Vice-Captain Jaime Lim was satisfied with the girls’ performance, labeling it as “expected”. As with Ian, she was wistful when faced with the reality that this would probably be her last competitive tournament, though she hopes to find time to compete in Open division events in the future. Joey herself placed strongly in the individual events, finishing 2nd in the Singles Girls and 3rd in the All-Events Girls. Together with Jaime, they also clinched 3rd place in the Doubles Girls event. When asked if he was satisfied with the bowlers’ performance this year, team coach AK Yong was more balanced in his view, giving an answer of “Yes, and no.” He lauded the fight shown on the last day, calling it a “very good recovery” but lamented the lack of practice with which he thought top spot would have been possible. If this showing was anything to go by, then we can say with just a little more effort, RI Bowling can definitely wrest the title back next year.